Two of my favorite blogs (The Pinocchio Theory and What in the Hell…) have written about Negri’s recent books, namely The Porcelain Factory and Good-Bye Mr. Socialism, expressing disappointment. I have to admit that I share this disappointment. I am not going to address the specific texts in question, I read the former over a year ago when it appeared in French and am only halfway through the latter, but I agree with the fundamental point that with the exception of Kairos, Alma Venus, Multitudo Negri’s recent work does not touch the sheer greatness of The Savage Anomaly, Marx Beyond Marx, or Insurgencies (Constituent Power). The criticism of these recent works (in these blogs and elsewhere) basically follows two fundamental points: First, the excessive confidence in the fundamentally creative and subversive nature of the existing labor practices and social relations, the multitude as a latent reservoir of revolution and, second, the misplaced emphasis on the present as a radical break with the past, immaterial labor as something fundamentally unseen. I do not want to address these criticisms here, rather I would like to focus on another problem, one that has to do with the provocations of Negri’s early works. In The Politics of Subversion Negri makes a point which I have taken to be fundamental regarding his understanding of the production of subjectivity, in that book he writes: “The ontological aspects of subjectivity are produced in different (or rather, antagonistic) ways.” As Negri elaborates, there is a proletarian production of subjectivity, passing through the wage, through the social relations of cooperation, and into insurrection. Against this there is leveled a capitalist production of subjectivity that breaks down this collective subjectivity through competition and the market. In these passages Negri maintains in productive tension between what could be broadly described as post-structuralism, (namely, Foucault) in which subjectivity is effectively produced by discourses and relations of power, and Marxism, insisting on a duality of struggle, even if it is produced rather than given. This assertion in an early work is to some extent vexed by the problem of lapsing back into a dialectic, or what Negri refers to as an “antagonistic Manicheism”; that is to say it is a matter of maintaining antagonism without lapsing into the symmetry of opposites or the inevitable conflict of pregiven social substances. This discussion of the antagonistic production of subjectivity is not only more interesting than the endless repetition of the power of the multitude versus the empty shell of capital it is more useful as well. What we need are the tools for the analysis of the production of subjectivity. We need to understand the way in which the existing power structure, Empire, for lack of a better word, is produced and reproduced by the existing machines of consumption and production. To paraphrase Alain Badiou, who in turn was paraphrasing Hegel, “We must think Empire not just as substance but as subject.” Less cryptically we need to understand how Empire is not something out there, but in us, part of our subjectivity. Second, we need to understand the tools and techniques that make possible a counter production of subjectivity. Negri’s provocative statements regarding the changing status of labor, the emerging affective and intellectual dimensions, are an important part of this, but they are not the whole picture. "This discussion of the antagonistic production of subjectivity is not only more interesting than the endless repetition of the power of the multitude versus the empty shell of capital it is more useful as well." I think there's an endless repetition of the discussion of the antagonistic production of subjectivity everywhere else in the literature, and if Negri were merely countering and balancing this endless repetition by others, he'd be doing a great deal. Because I do see such a preponderance of discussion in the literature dealing with the antagonistic production of subjectivity, I can't agree with you that such discussion has proven to be more useful. I think it has proven to be a deadend, a deadlock. That there is such a theoretical deadlock, which Negri tries to address, is what made Negri interesting in the first place. I think people are accustomed to the theories of an antagonistic production of subjectivity; these theories have a deep emotional appeal, too. 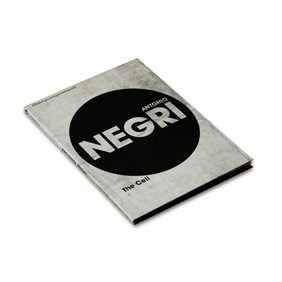 Whatever that deep emotional appeal is, it leads people to view Negri as shallow and uncritical. This could lead people to return to the practices suggested by these antagonistic theories without finding a way to carry out the practices suggested by Negri, abandoning whatever use Negri's theories may have had.